This was a fun watch... Haven't seen it since I was a kid. I of course got a kick out of the characters played by Don Knotts and Tim Conway. But the rest of the cast was good too. A nicer blast from the past. Looking forward to watching some more of the films I remember from the "Wonderful World of Disney" line-up. Enjoy the ultimate Race To Witch Mountain experience anytime, anywhere with this Blu-ray™ and DVD Combo Pack. On Blu-ray, Disney's fun family action-adventure is turbocharged with spectacular picture and sound. 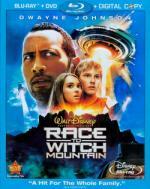 Fasten your seat belts for the thrill ride of your life in Disney's Race To Witch Mountain, starring Dwayne Johnson. Jack Bruno (Johnson), a Las Vegas cabdriver struggling to stay on the right path, gets an out-of-this-world incentive when two aliens, disguised as teenagers, suddenly appear in his taxi. In a race against government agents, an alien hunter and time itself, Jack must help the children recover their lost spaceship so they can return home and save their planet and ours. Breathtaking chases, close calls and special effects make this an action-adventure the whole family will enjoy – especially in Blu-ray High Definition. This is a fun film and a nice updated version. It actually made me want to watch the original films from when I was a kid... not to mention many other classic Walt Disney films back from the '70s. This remake does what every remake should do... bring interest back to the original films. Brace yourself for the hard-hitting and high-flying excitement of Street Fighter: The Legend of Chun-Li, including an all-new unrated cut! Based on the wildly popular Street Fighter video game series, this powerful martial arts adventure explores the origins of the Street Fighter universe through Chun-Li (Kristin Kreuk), who avenges her father's death at the hands of Bison (Neal McDonough) and his evil Shadaloo Empire. Now the stage is set, the challenge is clear, the legend will be forged...but who will prevail? Round One. Fight! After watching this film I couldn't decide if I wanted to give this film a 3.5 or a 4 star rating as I enjoyed it so much. I really liked the story line but I also liked the fact that there is several familiar faces in it. There is Michael Clarke Duncan, Neal McDonough and of course Kristin Kreuk of Smallville fame in the lead role. This is the first role I seen Kristin Kreuk in that I didn't automatically think "hey, it's Lana!" Which says to me she did a good job in it. Either way, definitely a good and fun film well worth the time put in to watch it. From the award-winning duo of Steven Spielberg and George Lucas, experience every heart-pounding thrill like never before with Indiana Jones®: The Complete Adventures on Blu-ray! For the first time ever, all four unforgettable films are offered together on Blu-ray, featuring brilliant high definition picture quality and 5.1 audio presentation. This five-disc collection boasts fully color-corrected digital master versions of The Temple of Doom and The Last Crusade and the highly anticipated frame-by-frame full restoration of Raiders of the Lost Ark. 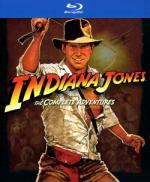 Dive into the adventures and spectacular action of the Academy Award®-winning* Indiana Jones series with hours of special features including new content created exclusively for this release. Only one name defines the ultimate hero... only one format delivers the ultimate experience! *Raiders of the Lost Ark: Best Visual Effects; Best Art Direction; Best Film Editing; Best Sound; and Special Achievement Award - Sound Effects Editing; 1981. Indiana Jones and the Temple of Doom: Best Visual Effects, 1984. Indiana Jones and the Last Crusade: Best Sound Effects Editing, 1989. I remember the first time I ever seen this. I was in my early to mid teens... and one of the teachers I had showed this film on the last day of school. And while I enjoyed it on that first viewing... watching it as an adult with a new perspective and more refined taste in film I get much more enjoyment from it. Great cast, wonderful visuals and non-stop adventure. Well worth the time put in to watch it. The girls of a Swiss boarding school have one thing in common they are all daughters of diplomats. One in particular finds out that she has a knack for espionage, and uncovers the murder of a Russian diplomat. Now she must escape using her girlish wiles. This turned out to be an interesting film. Though it did start out a bit on the slow side. It did build up to keep my interest. 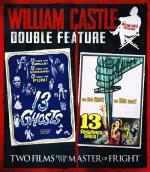 I must say this is different then any other William Castle film I have seen before. Worth the time put in to watch it. But I am not sure how much re-watch value it has. *Best Director: Saving Private Ryan, 1998; Best Director and Best Pictures: Schindler's List, 1993. **Best Director, Best Picture, and Best Writing, Adapted Screenplay: The Lord of the Rings: The Return of the King, 2003. †David Plummer, Windy City LIVE! (ABC 7 Chicago). The animation/visuals on this film is outstanding... among the very best I have ever seen. The story line is very good. It kept me entertained throughout with ease. The problem I had with this film? I never cared for the characters. Not in the old animated TV series and not in this film. With that said I do consider this film to be above average and well worth checking out at least once. A timeless classic that has been loved for generations, Bambi now joins the Walt Disney Signature Collection in this celebrated anniversary edition. 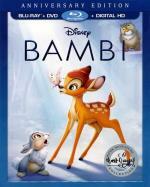 In this life-changing adventure, Bambi sets off with his best friends Thumper and Flower to explore the wonders and challenges of the woods – and fulfill his destiny as prince of the forest. Full of humor and heart, and featuring awe-inspiring animation, Bambi remains a family favorite – now on Digital HD with new behind-the-scenes special features. What can I say about this one? 15 minutes in and I am like where is the hunter? I am in cuteness overload here. Forget the mother... Shoot Bambi! Just too much cuteness. This film is just not made for the adult male. I will say it did improve for me some about the half way point on. This is not one I see myself watching often. 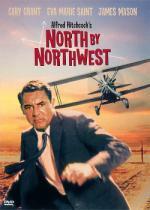 Cary Grant teams with director Alfred Hitchcock for the fourth and final time in this superlative espionage caper judged one of the American Film Institute's Top-100 American Films and spruced up with a new digital transfer and remixed Dolby Digital Stereo. He plays a Manhattan advertising executive plunged into a realm of spy (James Mason) and counterspy (Eva Marie Saint) and variously abducted, framed for murder, chased and in another signature set piece, crop-dusted. He also holds on for dear life from the facial features of the Presidents on Mount Rushmore (backlot sets were used). But don't expect the Master of Suspense to leave star or audience hanging. What can I say? Wow! I really enjoyed this film. It has a great cast. It has an intriguing story. And it is directed by the great Alfred Hitchcock. While the film is a little on the long side... this is something you don't notice while watching. It felt like the time went by so fast. This one is a definite must see film. This is the first time I ever seen Toby Mcguire in anything other then Spider-Man.... so for most of the movie I was seeing Peter Parker on horseback. But other then that this is a very good movie. A feel good movie that puts you through a few emotions. I think the entire cast did a great job with this one. While it is a rather long film it is well worth the time put in to watch it. Definitely recommended. 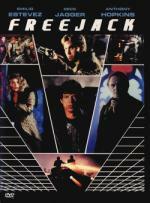 Bounty hunters from the future raid the present to provide new bodies for the super rich in the all-out, pedal-to-the-metal sci-fi thriller Freejack, directed by Geoff Murphy (Young Guns) and sparked by the imagination of Alien and Total Recall veteran Ronald Shusett. 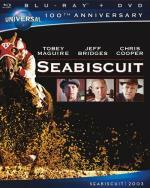 Emilio Estevez, Mick Jagger, Anthony Hopkins and Rene Russo star, keeping pace with the scenic, supersonic excitement. Prior to a crash, race car driver Alex Furlong (Estevez) is snatched from his cockpit and hurled into the futureworld of 2009. He's dead. And running for his life. He's a "freejack," a stranger in the strangest of lands. And a relentless "bonejacker" (Jagger) can collect millions bringing him in. Watching this one I am not sure if I seen it before or not. Some parts of it looked very familiar to me.... where others did not. I heard this film has a reputation of being bad. I just don't see how. I thought it had a good story... some great action... and a lot of big names. Felt like it was done well to me. Even if it was a little on the predictable side. I think it is definitely worth the time put in to watch it. Amanda Seyfried (In Time, Red Riding Hood) stars in this intense thriller about a desperate young woman who is forced to go on the hunt alone for a maniacal serial killer who she believes has kidnapped her younger sister. I found this to be a good suspense thriller. It has a good cast with a few familiar faces. The story line draws you in easily. I especially liked the way they chose to end this film. This is one I feel comfortable recommending. Evelyn Salt, a trusted and loyal CIA operative, goes on the run when a Russian defector convinces her superiors that she's a double agent sent to assassinate the President of the United States. As the intense manhunt heats up, Salt uses her skills as a covert operative to elude capture and uncovers a secret so powerful it could change the course of world history. 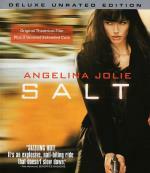 Angelina Jolie stars in this action-packed thriller that will keep you guessing until the end. While this film is loaded with a lot of really good action, it really didn't have much more then that. The story line started out good and interesting. I thought it was going to keep my interest with ease. Unfortunately about half way through the story lost something for me... and I started watching the clock and wondering when the film would finally end. What I guess I am saying... this film has great action sequences but it needs a better story to back it up. From William Goldman's best-selling novel comes one of the most daring and affecting thrillers ever brought to the screen. Oscar® winner Dustin Hoffman (Rainman) plays the likeable graduate student and marathon runner of the title, unwillingly trapped in a killing game of intrigue involving a Nazi fugitive, Christian Szell. Laurence Olivier received an Academy Award® nomination for his chilling portrayal of the sadistic Szell, who turns dental instruments into tools of torture with dispassionate ease. Directed by John Schlesinger and featuring an all-star cast, Marathon Man moves with nail-biting suspense to its thrilling, fever-pitched conclusion. Co-starring Roy Scheider and William Devane. This is a film that people have been telling me for years that I have to see it... but for some reason... even though I have it in my collection... I have been putting it off and putting it off. I am not even sure why. While I did enjoy this one... I was really expecting more from it. I found it to be a little on the slow side for my taste. And while there was some good cast here... I found it hard to really care about the characters. I don't know... maybe I wasn't in the right mood for it and I will like it more on another viewing. Marley is back for more tail-wagging fun, and this time he speaks! That's right, "the world's worst dog" has a frisky voice and an attitude to match. Join Marley for his mischievous puppy years, as he and his summer pal, Bodi Grogan, wreak havoc on a neighborhood dog contest. Marley outwits Dobermans, Shepherds and Collies, while stealing hearts in his own unique and lovable way. 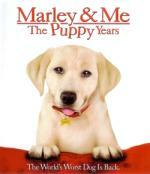 Get your paws on MARLEY & ME: THE PUPPY YEARS and getch big laughs for the whole family! I found this one to be a right cute film. While it is definitely geared more to the younger teen crowd I found it to entertain. There is a few decent chuckles in it. I definitely can think of worse ways to waste an hour and a half. If you like shows like buddies movies then this one won't disappoint. 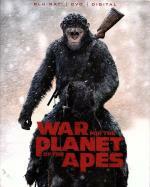 In this thrilling, climactic chapter in the Planet of the Apes saga, Caesar (ANDY SERKIS) and his apes are forced into a deadly conflict with an army of humans led by a ruthless Colonel (WOODY HARRELSON). But after suffering unimaginable losses, Caesar resolves to avenge his kind, pitting him against the Colonel for a final showdown that will determine the future of the planet! Going into this one I expected pure action. But it does also have a decent story line to it as well. But what this film does have going for itself is all the fantastic visuals. And I am not just talking the special effects... which were great... but all the visuals. The design of the apes... the wonderful background imagery... there is a really great shot of an explosion (you will know it when you see it) that looks just amazing. Over all, the film is well worth the time put in to watch it. I would definitely recommend it.